Four University of Maryland undergraduates have been awarded scholarships by the Barry Goldwater Scholarship and Excellence in Education Foundation, which encourages students to pursue advanced study and careers in the sciences, engineering and mathematics. In the past five years, UMD’s 20 nominations yielded 18 scholarships and two honorable mentions. Stanford University is the only institution that matched UMD's record during the same time period. Paul Neves, Lillian Sun, Tanay Wakhare and Eric Wang were among the 211 Barry Goldwater Scholars selected from 1,280 students nominated nationally this year. Sun plans to pursue an M.D./Ph.D., while each of the other three students plans to pursue a Ph.D.
Paul Neves—a junior physics major who is also a member of the University Honors program in the Honors College and a Banneker/Key Scholar—is interested in magnetic materials, with a focus on neutron scattering and other experimental techniques that are used to study these materials. Neves conducts research at the National Institute of Standards and Technology’s (NIST) Center for Neutron Research and the UMD Center for Nanophysics and Advanced Materials. He designed and built a new device to improve neutron scattering measurements by simultaneously measuring the bulk magnetic properties of a material under high pressure and at low temperature. The instrument will soon be available for use by all NIST scientists. Neves received a best poster award for this work in 2016 at the 9th International Workshop on Sample Environment at Scattering Facilities. Neves also studies magnetic skyrmions—small swirling structures in magnetic materials. Specifically, he has synthesized, characterized and fine-tuned the magnetic skyrmions in the material copper selenite (Cu2OSeO3), which is being investigated for next-generation information storage. Neves submitted two journal papers and is preparing another on this work. 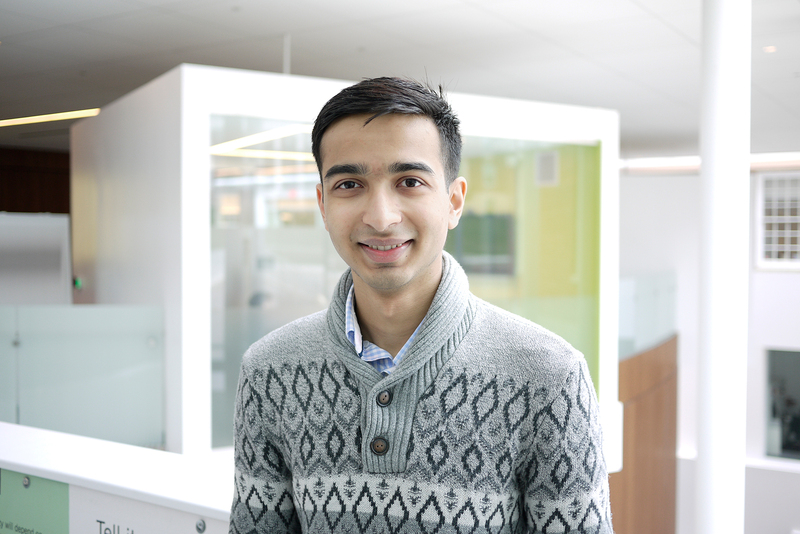 He also received an Ovshinsky Student Travel Award honorable mention to attend the American Physical Society’s March Meeting 2018 and present his work on Cu2OSeO3. “Paul has the instinct and raw talent to develop into a great scientist and already exhibits the motivation and maturity that are the foundation for success,” said his mentor Nicholas Butch, an adjunct assistant professor of physics at UMD and a physicist at the NIST Center for Neutron Research. Neves is a founding member of the UMD Physics Makers club and a member of the Society of Physics Students. He also participates in outreach efforts to teach K-12 students about physics. Lillian Sun—a junior pursuing double degrees in biological sciences and economics who is also a member of the Integrated Life Sciences program in the Honors College and a Banneker/Key Scholar—is interested in developing novel cancer vaccines. 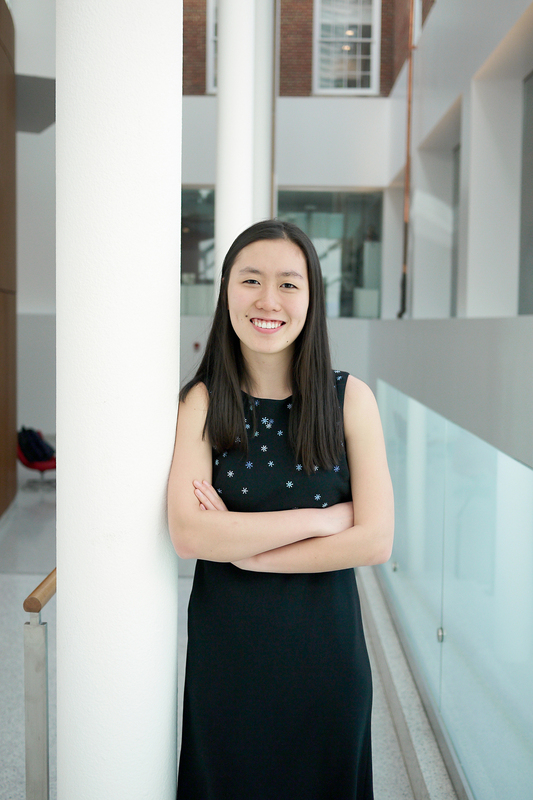 Sun’s pursued her first research experience in high school when she interned at the National Cancer Institute’s Office of Cancer Complementary and Alternative Medicine. As part of her internship, she screened a library of herbal compounds for potential use in chemotherapy. Next, she interned at the National Institute on Deafness and Other Communication Disorders (NIDCD) researching the effectiveness of certain antibodies for immunotherapy—treatments that stimulate a patient's immune system—to treat head and neck cancers. After joining another NIDCD lab in December 2016, Sun improved the effectiveness of a cancer immunotherapy in vitro by first treating cancer cells with chemotherapy drugs. Because chemotherapy usually kills immune cells along with cancer cells, making immunotherapy treatments less effective, this finding surprised Sun and her colleagues. As a result of this work, Sun co-authored two papers published in the journal OncoImmunology and submitted two more papers for publication, including a first-author paper. Sun and her collaborators are currently investigating the mechanism behind this unexpected effect. “Lily possesses a remarkable ability to grasp complex biologic processes and critically think through experimental designs to answer hypothesis-based questions that guide a scientific story,” said her mentor Clint Allen, head of the NIDCD’s Translational Tumor Immunology Program and an assistant professor in the Department of Otolaryngology-Head and Neck Surgery at the Johns Hopkins School of Medicine. Sun founded Terps for New Horizons, a club dedicated to helping immigrants and refugees. She also participates in service projects as a member of the UMD chapter of the American Medical Student Association. Tanay Wakhare—a sophomore pursuing double degrees in mathematics and computer science who is also a member of the University Honors program in the Honors College and a Banneker/Key Scholar—is interested in combinatorics and number theory. Combinatorics is a branch of mathematics that focuses on counting, and number theory centers on discovering and proving interesting and unexpected relationships between numbers. Wakhare’s research in these areas led to two published papers, six papers submitted for publication and three papers in preparation. While in high school, Wakhare worked in the Applied and Computational Mathematics Division at NIST. When he traveled to Florida to attend the 2016 International Number Theory Conference, he met Christophe Vignat, a professor of physics at the Universite Paris-Saclay and an invited professor of mathematics at Tulane University. Since meeting, Vignat and Wakhare have collaborated on several combinatorics papers. Last summer, Wakhare built on his computer science skills in data analysis and large-scale computations by interning at the National Institute for Mathematical and Biological Synthesis in Tennessee. There, he modeled disease transmission in multi-host systems, focusing on the impact of seasonal demographic patterns of wildlife populations on infectious disease dynamics. Back on campus, Wakhare co-taught a one-credit course he designed on “The Mathematics of Ramanujan” for the past two semesters. Teaching the course increased Wakhare’s understanding of modern multiplicative and additive number theory and developed his love of teaching. Wakhare is a member of the Taiwanese American Student Association, the Quantitative Finance Society and the Academic Quiz Team. 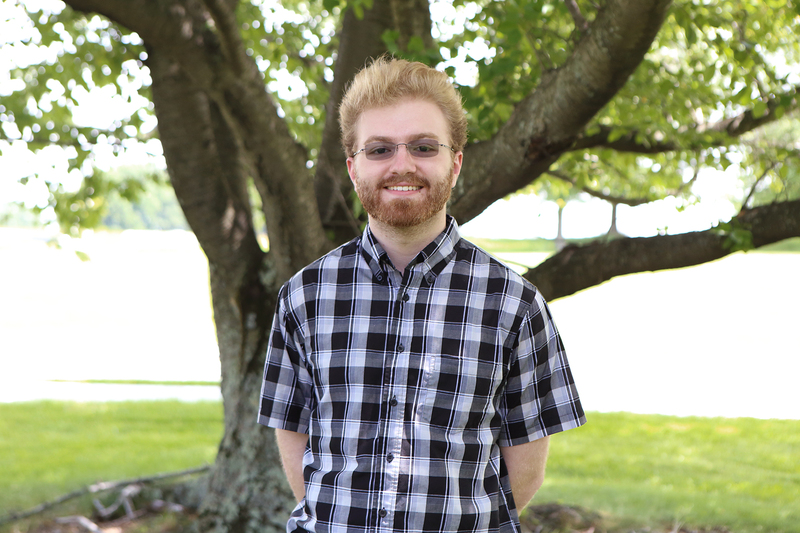 He also received the Dan Shanks Award from the UMD Department of Mathematics, which is awarded to an undergraduate studying computational number theory. 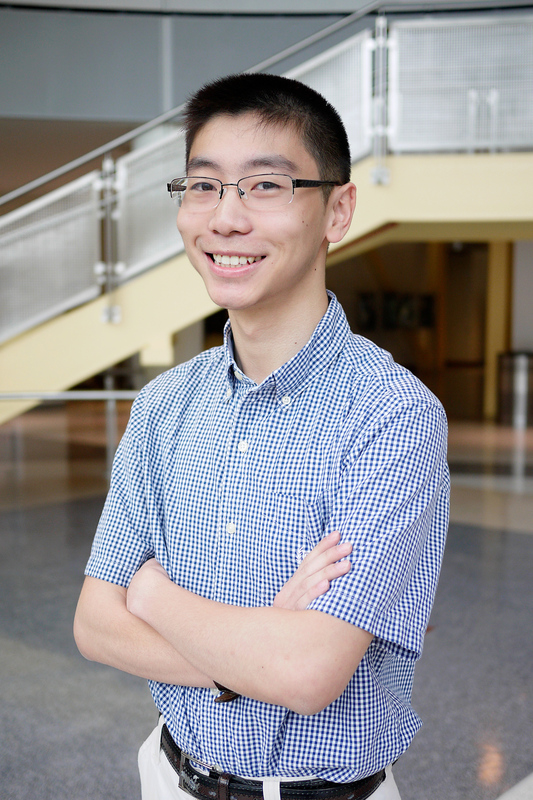 Eric Wang—a junior bioengineering major who is a member of the University Honors program in the Honors College and a recipient of a 2017 Howard Hughes Medical Institute Research Fellowship, a President’s Scholarship and an A. James Clark Scholarship—is interested in molecular dynamics, a computer simulation method for studying the physical movements of biomolecules. Last summer, Wang joined the lab of Klauda’s collaborator, Richard Pastor, a senior investigator in the Membrane Biophysics Section of the National Heart, Lung, and Blood Institute at the National Institutes of Health. There, he used molecular dynamics to determine how a peptide that promotes membrane fusion stabilizes pore formation.